After many years of working in the largest advertising and production companies in Israel, the WD CREATIVE team came to the conclusion that there is a serious conflict of interest in the intersection between ideas and production. This conflict of interest harms a lot the creative results and indeed, does not allow to provide the customer with the idea that is actually best for him or her. A producer will want to earn as much as he or she can from the production budget, while the creative team is interested in developing the best possible idea for the client's greater good. SOC: Dear Mr. Daum and Mr. Wizeman, thank you very much for dedicating your time to this interview. It was our pleasure to be introduced by one of our spinoffers, Shay Hershcovich, the Head of Business Development at Betalin Therapeutics LTD and one of your satisfied clients. As we know you have created the tailor-made investors' pitch video for them. It is no doubt that the professional presentation was also the part of the company's success as it became the Israeli most promising startup and won the much coveted second prize of XIEC China International Innovative Competition in 2017. We are pleased to introduce you to our partners and the community of spinoff founders at our platform that will be happy to share this success by taking advantage of your professional services. We would like to start with the general overview of your company WD CREATIVE. Could you please elaborate on the story of its creation and the team? Mr. Wizeman: WD CREATIVE story starts a few years ago when Alon and I were working together in one of the biggest production and marketing company in Israel. We were there as a creative team. It was a really big company 150 employees and we've been a part of the creative team. We've been working there for three years. We discovered that the main problem is putting together creative and production in the same house. We realized that when a producer and a creative team are working on the same budget the interests influence their ideas. 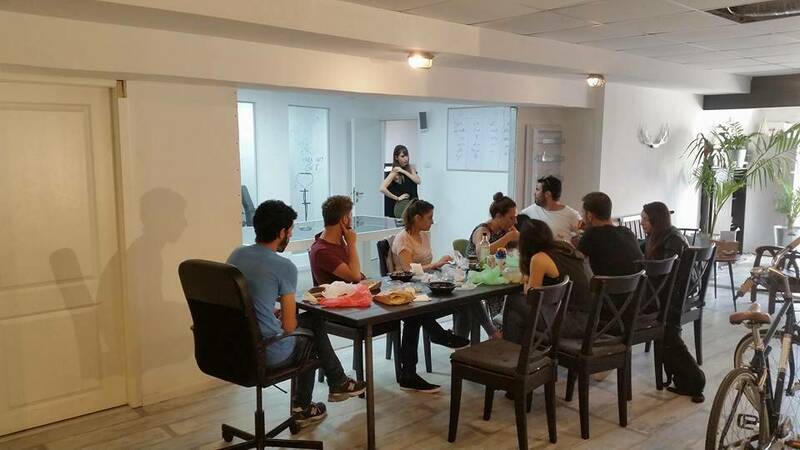 This is when we decided to create our own studio or creative house where we could create the design and marketing ideas in a sterilized laboratory environment without any effect of interests or middleman in order to create the best ideas solely for the customer. It is for this reason that we decided to start a company that concentrates solely on delivering creative ideas and smart, experiential design without the intervention of 'production' so it is like working in a laboratory setting. In this company, we have no involvement or dependency upon financial interests or other functionaries who may be involved in the process… We just come up with ideas and design that meets the needs of the end customer. Today, four years later, we number ten employees who each bring their rich creative talents: writers, designers, visual professionals and after effects editors. 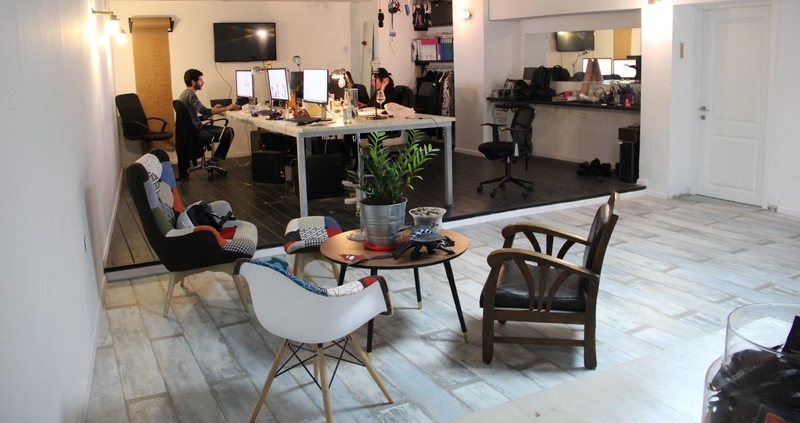 In our company, we believe that every single product from the smallest to the biggest needs to get any creative sense. Every design, every video, every motion graphic, every presentation we do comes with a sense of creativity. Even if it's only an ad for a social media, it needs to get the right creative attention. This is something that leads us every single step from day one. SOC: Could you please describe what is your company specialization and what services does WD CREATIVE provide? Mr. Wizeman: We are proficient at turning every thought, idea, vision, desire – every process and every goal you may have to an intelligent and creative visual story that empowers your business. 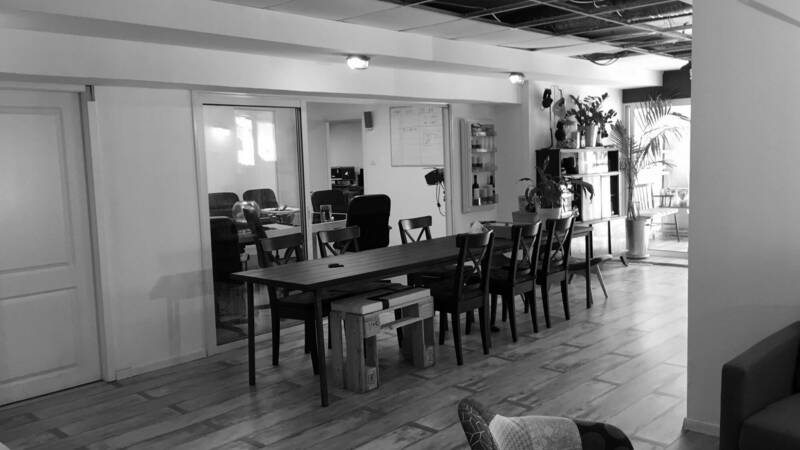 We see ourselves as a content house that works vertically on a wide range of projects. design of print collateral, internet media and more. The creative is the core of everything. We know how to tell the story for any target or goal you have, we can create or at least bring your story out. We really good at telling the stories on startups to investors in a shape of a pitch deck, in the most beautiful and the smartest way, creative wise. So we're really good at presentations and we're really good at creative design. We do a lot of motion graphics as well. We really love this product and strongly attached to it. This is something that we do with lots of love and creativity. SOC: Who are your clients? Mr. Daum: We have big and small clients in Israel, the leading companies in the international market such as Amdocs and Soda Stream, banks and financial companies such as Bank Leumi and Bynet as well as the famous brands as Coca-Cola, government agencies and more. Mr.Wizeman: Basically, we mainly work with corporate brands. We are really strong in the healthcare field. We work with many hospitals, health organizations, for example with Clalit, the second largest Healthcare Management Organisation in Israel and healthcare startups such as Betalin Therapeutics LTD. We constantly support different startups that occasionally use our services for creating their pitch deck or profile overview. SOC: The list is quite impressive. Thank you. We would like to point out what problem you might solve for spinoff and startup founders and how would WD CREATIVE be helpful for them? Mr. Wizeman: In so many of the critical business activities you undertake: the process of recruiting and harnessing resources, marketing, inside marketing, outside marketing, product or service launches, process development within an organization, professional or marketing conferences or events. It is crucial to have a team that will tell you the story and will present who they are. We turn a thought or a product into an experience that is both creative and visual. Sometimes people have a lot of ideas in their mind and a lot of different goals and visions. They want to say, to express and they want to share those ideas, but they don't know how to tell the story. Though, we simply know how to translate all their thoughts, wishes and the goals into a creative visual product that fulfils their needs. We are very obligated to the process, really honest and sensitive to the needs of the customer. When we create a product it is always specifically tailor-made that perfectly fit the character of the person or the organization that we work with. We work through the DNA of the organization and every client gets it's perfect and suitable product for him. SOC: Thank you. I see that we have lots of in common with SPINOFF.COM because there are many scientists who have brilliant ideas globally. We would like to support them with due diligence of such professionals like you and all our competency centers in materializing those ideas all the way science to business so they can create their own companies. Now we would like to hear about your projects. What were your recent or the most memorable projects? Please kindly share some examples with us. 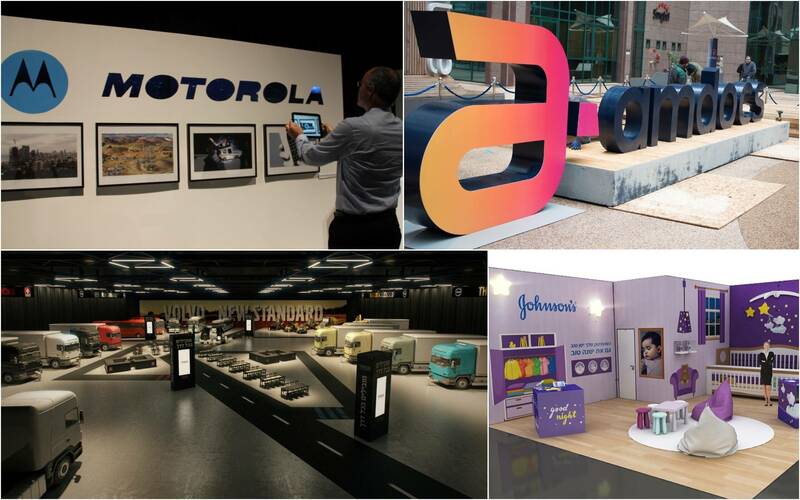 Mr. Wizeman: Among the most memorable projects we had MOTOROLA project, where we've made all the creative content and design for its 50th-anniversary exhibition, combining technology, art and beautiful stories in Tel-Aviv's convention center. It was a technological and creative exhibition using that we brought from England like the August spotlight and we used the augmented reality as well. The president of the International Motorola corporate came for this exhibition. Three months later we did another exhibition for VOLVO and RENAULT. We made the creative design and content for presenting the new car models. It was a really a big event in the convention center of Tel Aviv. We built it from scratch: from planning through creative, interior and graphic design and content. We have a lot of projects that we are proud of. It's the third year we've been branding AMDOCS sales kickoff all around the world. We are giving them the creative, the concept and the design, all the look and all the communication elements and products. We supported their annual sales meeting in Valencia, Orlando, Dallas. We created a pitch deck, branding and web design for a health tech startup company DATOS. Now they managed to create a meaningful co-operation with Mount Sinai Hospital in New York. We supported few beautiful startups such as Betalin Therapeutics with motion graphics video. We made creative and design, investors presentation for an international shipping company PORTLINE based in Portugal and Hong-Kong. We had a beautiful campaign with SODA STREAM. We were responsible for creative design and web developing for an international campaign that had an outstanding impact. They asked us to make an international campaign. It took place in like 15 different regions all around the world from Australia to Europe to the United States. We did all the creative design and programming. We've created a website that has the interactive feature that invites every employee to write a challenge on the board and try to achieve it we expected 100-200 participants. Eventually, we had 900 people all around the world sharing their challenges and it was like really unbelievable impact. We greatly support our local events. We created a film contest for the biggest film festival in Israel, which is also International Film Festival. All the contest was based on mobile filming it called 59 seconds and the contest was to bring the best story only with your mobile and only in 59 seconds. It had a great impact here in Israel. On a daily basis, we are designing content for all social media and digital media for Bank Leumi, the second biggest bank in Israel. Now, we are doing big campaign 6 viral videos for the biggest lottery organization in Israel. We also branded the biggest technology exhibition in Israel with BYNET. We have so many projects that we are proud of and we want to tell everyone about all of them as we really consider each project as a work of once in a lifetime. SOC: Thank you. I have visited your website. I was really amazed and impressed. I think that it will be great to invite our audience to your website so the can make acquaintance with more projects that you've implemented. Mr. Wizeman: That's a great idea. I really invite everyone to get and to check all our categories. I think that our website is reflecting in a really minimal and simple way without long texts or visions or promises what is eventually important, just simply presenting our portfolio. We have some funny stuff here as well. SOC: Mr. Wizeman I saw that you have the creative dogs in your team. Maybe you need to put the button saying 'Donate food for the dog' (both laughing). From your vast experience while working with small companies and big corporations, what piece of advice or warnings you might give to the spinoff and startup founders in the sphere of your activity? What mistakes, in some cases even fatal, should they avoid? Mr. Wizeman: We believe in granting full freedom of action to the professionals with whom we work. We undertake this policy because we have deep respect for the creative abilities and the experience that each person brings to the team – and because it is our belief that each professional does his best. Without ego. Specifically, with regard to our line of work: there are no defined equations. It’s not math. There are only team dynamics and personal taste. So, for this reason, we believe that every comment, idea or criticism must be specific and originate from the general brief provided. I think that the most important thing is when you want to get a service such as creative and design I suggest everyone just sit another one hour another two hours and try to really understand what he is looking for, what does he want, and try to bring the most detailed brief. It will help the creative become more accurate and faster. Mr. Daum: Sometimes we ran into customers that say ' I want you to create a big event' but they don't really bring us a good brief, something we can actually work with. Then we start asking a lot of questions and 'guessing' what the client really wants to achieve. I think this is a very big problem that we have a lot of times with the customer. They don't really think until the end what they really want. It helps if they come with a specific brief and clear intentions, once you have that, you can create anything an organization or a small business need. Mr. Wizeman: The time to market is brilliant because you can really react very fast. Sometimes when you have a missing brief or not specific brief, the process can take even two or three months. One of the most important things is time as we need time to think. Sometimes clients call us and say 'I need an idea please and I need it in two hours'. a good idea does not necessarily need a whole year, but when the clients come with a good and detailed brief and give us a reasonable time, we can create a really amazing product with a great impact, reasonable budget and smart, that fits exactly to their size. Mr. Daum: It's also rather actual for a presentation. If a client wants a good presentation, we need time to think about the design in order to create something specific, smart and not only beautiful. Definitely, the story is very important, never underestimate the story. SOC: Yes of course. While raising money and making such pitch video for investors story is just of top priority. And the last but very expected question as money is a critical issue for the rising companies. The spinoff and startup founders take into consideration all expenses. Might they receive a discount from your company and under which terms? Mr. Wizeman: Maybe we're not the cheapest company in Israel in our field, but I must say that we really love what we do and we really believe in entrepreneurs their will to create a thriving business. We are open to talk about the discounts and find the budget-wise solutions. We definitely want to create and want to design. We will find a way to work with a good idea, to support the startup and any organization. Sometimes companies just need someone to organize their thoughts. It will save them a lot of money. We know how to work with every budget. We don't reinvent budget according to our wills. We take the budget of the customer and we work with it finding the best solution within the defined framework. Our services could be also very diverse so the price depends on that as well. We have really small and fast products and we have also very long-term content-based projects that can last four to six months. Basically, we want to work with everyone, we want to create and design ideas and we want to support rising companies as well. We revere initiative and professionalism, and mostly we love people and ideas. If you have arrived at SPINOFF.COM then we imagine that you possess all of these qualities and we would love to work with you. And therefore, we will be willing to work with you regarding cost and terms – because it is important to us to see ideas come to life! We would like to express gratitude for the time that you have dedicated to this interview. We hope to see more happy-ending stories of spinoffs, like Betalin Therapeutics, who attracted the investors by your pitch video or presentation because this is that we are all about. SPINOFF.COM is pleased to recommend WIZEMAN DAUM CREATIVE LTD and to present its services to all the partners and spinoff founders at our platform. Hope for long and mutual collaboration.